In case you haven’t noticed the 2016 Toyota Camry has arrived here at Allan Nott! Explore our inventory of new Toyota Camry models to find your favorite model. 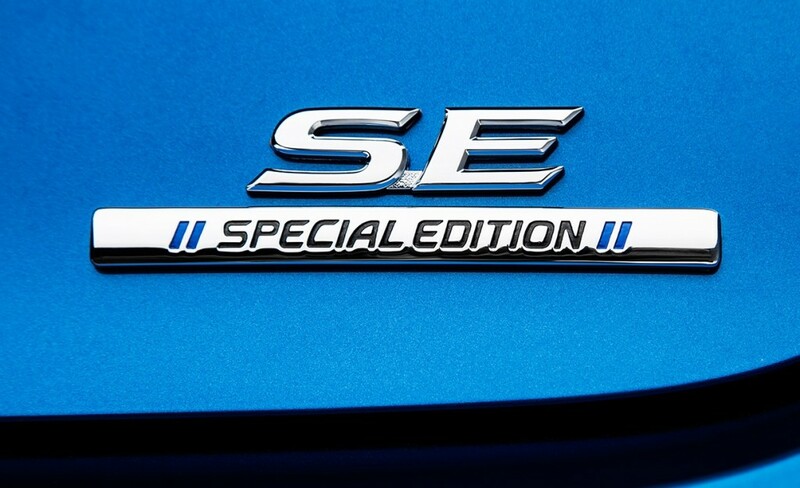 Everyone always seems to be looking for the NEXT best thing and in the automotive industry that is a common occurrence with new editions coming out yearly. When this happens and you are looking for a new car, that can make for a confusing car-buying decision, so we have attempted to make things simpler by highlighting the new elements you will find in the Camry by answering the question — what’s new for the 2016 Toyota Camry? The 2015 Toyota Camry exploded onto the scene last year with a complete redesign that provided a sleek new profile that was more athletic than ever, was complemented well by spirited engine options and possessed a well-equipped interior. For the 2016 model year, the engineers at Toyota have stepped up their game even further, improving on what proved to be an exciting addition to the Toyota model lineup. Characterized by new style and technology elements as well as a head-turning Special Edition model, the 2016 Toyota Camry is a new favorite of ours here at Allan Nott. Alongside the new 2016 Toyota Camry Special Edition, there are several overarching changes that will improve the Camry platform. 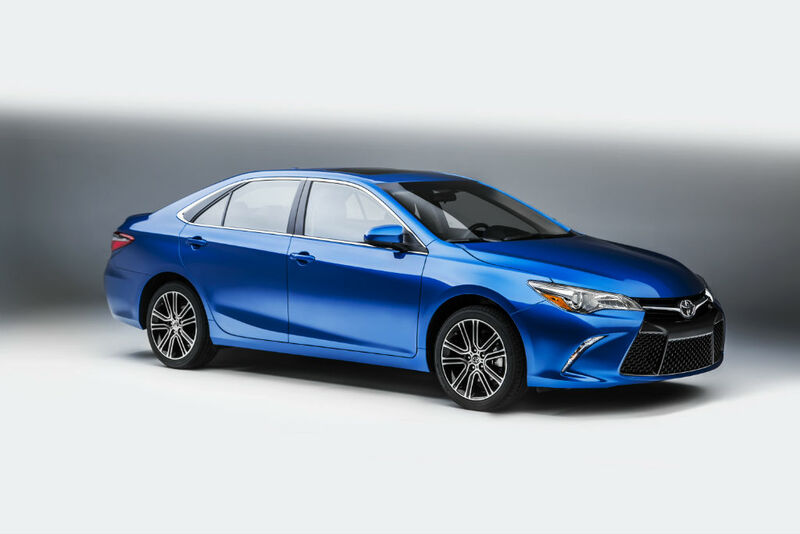 Many of the changes center around the base Camry LE trim, which will now offer a standard Multi-Information Display instead of a meter cluster, will add new interior trim and will be available with 16-inch multi-spoke alloy wheels. Even more changes will affect your level of entertainment and connectivity with the Toyota Entune interface. A 7-inch touchscreen interface with Entune Audio Plus will be the new standard in XLE, XSE, XLE Hybrid and Special Edition models and the upgraded Entune Audio Plus with Connected Navigation App will now be available for Camry SE trim levels. When it comes to the 2016 Toyota Camry Special Edition, it is one-of-a-kind with a head-turning style inside and out that is loaded with your favorite features. 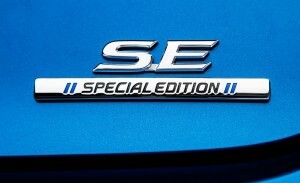 Priced affordably, the Special Edition is available in two new exterior colors, Blue Streak Metallic and Blizzard Pearl with 18-inch machined wheels with gloss black accents and Special Edition badging to highlight the design. Inside the Camry Special Edition, you will be ensconced in a cabin that is decked out in dark blue with blue accent stitching, Special Edition logos and innovative features like the Toyota Smart Key system and Qi wireless charging. Now that we have answered the question — what’s new for the 2016 Toyota Camry — you can make a more informed car-buying decision when it comes to the Camry. Stop in today at Allan Nott to see the 2016 Toyota Camry and 2015 Toyota Camry up close before you schedule a test drive in your favorite Toyota Camry. You won’t regret it! This entry was posted on Thursday, August 27th, 2015 at 9:44 pm	and is filed under Toyota, Toyota Camry. You can follow any responses to this entry through the RSS 2.0 feed. You can skip to the end and leave a response. Pinging is currently not allowed. Why would someone go on a date with you? To search out an Asian lady for courting, relationship and marriage, on-line relationship is the answer. By living with this outlook on life you can always be prepared to meet most of lifes catastrophes without outrageous worries gta5 prostituierte steigen nicht ein not like many other senior dating websites which appear to cater to everyone, WeLoveDates is an over 50s dating site particularly designed for senior singles and relationship over 50s in South Africa.